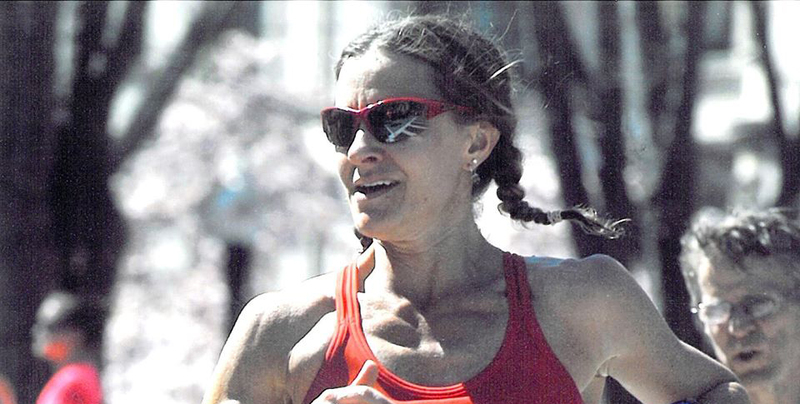 As someone who traded in her swim cap for a pair of running shoes, Julie George has always been a model for healthy living here at LiveWell Colorado. She was recently recognized as a Public Health Hero of the Year by Tri-County Health Department (TCHD), which represents Adams, Arapahoe and Douglas Counties. Her tireless efforts to promote healthy eating and active living through policy change has inspired numerous cities in TCHD’s jurisdiction to make long-term commitments to the health of their residents. We sat down with Julie to learn more about what inspires her. What led you to work with LiveWell Colorado? My prior work before LiveWell was a combination of local, state and federal policy and advocacy and I realized over the years that working at the local level is “where the rubber meets the road” and it’s also the work I enjoy most. When the opportunity presented itself to join the LiveWell Colorado team and work with city and town leaders to help cities increase access to healthy living, I had to jump on board. While we know you can’t pick a favorite, are there cities you view as models for building healthier communities? What are they doing? Where do you see the most opportunity for growing a healthier cities here in Colorado? I see a real opportunity where city managers and staff understand the need and value in healthy communities. Couple this along with the election of local leaders who also embrace and champion healthy living and you have a recipe for success. With these two factors in place, local government decisions will begin to consider health and health implications as a criteria for making decisions that impact their residents’ lives. With this, we can have healthy cities where walking, biking and outdoor recreation are safe and easy while access to healthy affordable foods is the norm, not the exception. With the little free time I have, I love to run, run and run some more. I also like to garden, ski, hike and read. If you had the chance to meet any famous person, who would it be? Oh, I would say it’d be Kathrine Switzer, the first woman to run the Boston Marathon. The photos of her and her two male running partners fighting off the Boston race official in the 1967 race seem almost comical today but it’s a great reminder that in order for change to occur, you often have to fight for what you believe in. About Julie George: Julie is the Director of the HEAL Cities & Towns Campaign where she works closely with municipal officials to help adopt policies that improve access to healthy eating and active living (HEAL) in their communities. Before joining LiveWell Colorado, Julie worked for the Colorado Association of Schools Boards (CASB) and the City of Aurora where she developed an expertise in municipal governments. She is an avid runner, somewhat regular cyclist and occasional swimmer, having officially retired her cap and goggles after swimming competitively for four years in college.